Eckhardt Enterprises is a family owned business that has been in State Center since 1935, specializing in all types of insurance and income tax preparation. Owner Mikel Eckhardt has been in the business since 1978 and will assist every customer with their income tax and accounting needs. His brother Jim Eckhardt has been in the business since 1977 and will assist every customer with their insurance needs along with income tax preparation. Lisa Green has been with Eckhardt Enterprises since 1996 and has all her insurance licenses which allows her to sell any type of insurance. She is the office manager along with selling insurance and doing income tax preparation. Erik Eckhardt, Mikel's son, joined the business in 2010 and is personal lines licensed along with helping with income tax preparation. 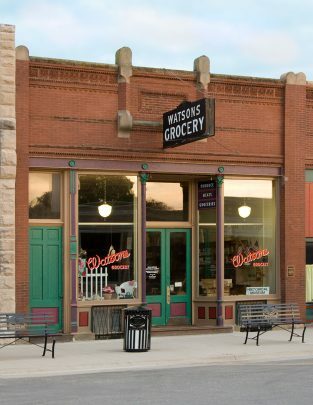 Weekly newspaper serving West Marshall and East Story trade area. Providing funeral and cremation services with warm caring personalities. One floor access with kitchen and video projection. Proud to be a part of the historic State Center Main Street. Partner Communications Cooperative (Partner) provides local telephone service, cable television and partnercom.net internet access to State Center, Melbourne, Rhodes, Baxter, Gilman and Kellogg. Partner has been meeting the communications needs of its members since November 1, 1955. Partner provides Broadband Service packages ranging from 1 Meg, 3 Meg and 5 Meg download speed. Digital Cable television with HDTV programming is available also. As a subscriber of Partner's services, you become a member of the cooperative. Clean, modern laundromat with large capacity machines Fitness center with personal attention Red - hot tanning Carpet cleaning and carpet cleaner rental DVD rental, Aqua Massage bed Soleil Tanning & Fittness / Main Street Maytag Laundromat....Everything Under the Sun! Custom, retail & wholesale meat processing and sales of beef and pork. Also processing deer, lamb & goat meat. State inspected plant. 24-hour skilled, nursing, hospice and respite care. Activities and social services programs. Speech, Physical and Occupational therapies. Outpatient services. Dietary consultant and physician services. Call or stop by State Center Nursing and Rehab Center. We're her for you!